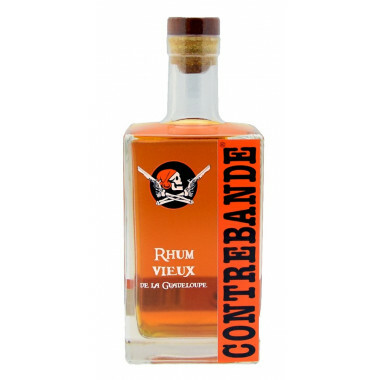 Contrebande ("Smuggling") is an old rum from Guadeloupe aged more than 3 years. This independent bottler stands out with his selection of the best ex-Bourbon oak casks and the implementation of a unique "staling" process (standing time) which allows the rum to be downgraded from 60° to 42° by successively adding water, and creating a perfectly homogenous product. Resulting from the fermentation and distillation of molasses, Contrebande (translating as "Smuggling") is stocked for more than three years and then, refined and bottled in Pointe-Noire, Guadeloupe. Nose: rich and complex with notes of liquorice, leather and chocolate. Palate: rich and smooth with vanilla notes, nutmeg and cloves.